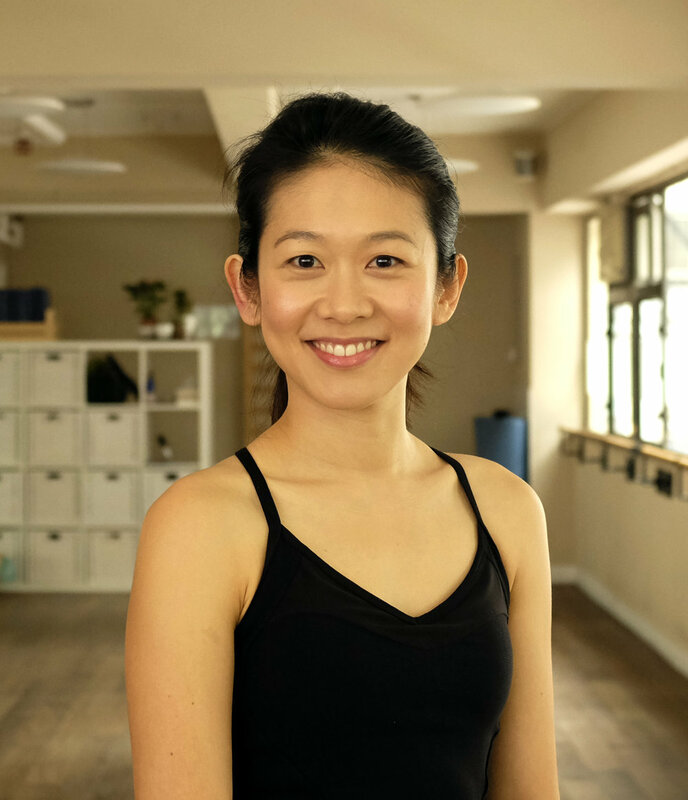 We would like to introduce you to Karen Lim, founder of Barre 2 Barre, a barre studio that features the BarreAmped method - founded on the technique of dance, the mind-body aspect of yoga, and the precision and core integration of Pilates. Barre 2 Barre features the BarreAmped method - one of today's hottest workouts, founded on the technique of dance, the mind-body aspect of yoga, and the precision and core integration of Pilates. BarreAmped produces lengthening and chiseling results fast, using small isolated holds with tiny movements and tremendous mental connection. Expect a challenge and prepare to leave feeling calmly energised with this hands-on, personal group training session. What inspired you to start your company? What was the main issue or pain point you were trying to address? I met Mylene Mackay, my dear friend and business partner almost 8 years ago when I moved to Hong Kong. Both of us shared a passion for practicing and teaching barre. We believe in building strength properly from within and that everyone should be comfortable in their own skin. We also resonate with Suzanne Bowen, creator of BarreAmped, a method that we teach at Barre 2 Barre, who believes not in perfection, but aiming for excellence and being the best you can be. So we wanted to have an avenue or a way to share all these with our community. In 2012, we decided to launch our business as a boutique barre fitness studio in Hong Kong, and we were the first in Asia at that time to do so. We wanted to teach a method that promotes general well being and has longevity suited to all fitness levels. Since 2014, Barre 2 Barre is Asia’s training center for BarreAmped. We are no longer about just providing barre classes, but also committed to providing top quality teacher certifications. We are running our first teacher training retreat in Thailand this September, and more certification programs planned regionally in Hong Kong, Singapore, Taipei and Indonesia. Besides, teacher certifications, partnerships is also key to our evolving business model. We are very lucky to have supportive business partners along the way. And we rely on each other in this ecosystem, to bring a different perspective to wellness to our clients. For us, the main challenge is educating our community on what barre is and what sets our method, BarreAmped apart. That being said, things have come a long way since we opened doors. There are certainly more competitors in the market now compared to when we started out. This is good for the industry as a whole as it keeps everyone on their toes and drives improvement - all good things. Can you share a bit about your fundraising journey so far -- mistakes to avoid and best practices? Both of our studios are self funded. We’ve received a number of investment and partnership proposals to date but have declined as we still refining our product and service offering to ensure we are the best in the market. We are, of course, still open to exploring investment and partnership proposals, but it has to be right fit. The intended partner/s must value what we bring to the table and we must do the same. They need to be someone we can rely on and love to work with, even in the worse of times. What tips do you have for growing teams? Having a strong team is key to any organisation. You as a business owner need to believe in what you sell and you need to lead from the top. Your team needs to believe in your message and the message needs to resonate through your team, your space and to your audience. Listening to your team is also an integral part of building a strong team. This process of growing the team, taking care of your team members, listening to them, is continuous. Being too carried away with everything and moving too fast. The challenges and problems we face as an entrepreneur often result because we are constantly evolving and growing. Because we have so many balls in the air sometimes. Know your surroundings. Have a strong team. Believe in your product. As a startup or new business, how do you build credibility and trust with your customers, your stakeholders, your business partners, etc.? Your customers, stakeholder and partners are each a gear in our machine. Each gear is to be taken care of. We got to all move together to be able to move forward. Everyone is important. Being in constant contact with each other and caring for each other is part and parcel of this. What is your personal success? I am very lucky to love my work. My team, my clients, my students and being part of the wider wellness community are really what inspire me. Being a mother of 2 young children and balancing home with work is very important. I am a mother and a wife, I love being at work and I am thankful to be able to contribute to my community. This is my personal success. I am very thankful for where we are as a company. The mortality rate, especially in Hong Kong, for boutique studios is high so to be able to achieve what we have means a lot to us. Where we are as a company is the result of continuous support from our all stakeholders (cilents, employees and partners, and the wider community). It is very important to us that we stay true to our goals and vision as a brand. To be able to carefully direct our growth in a fast paced dynamic environment and have the sky to be our limit is our company success.